But you must be thinking that how can we use the dehydrated form of honey? After dehydrating honey, you can grind it in small crystals form and later you may use it for sprinkling over the desserts. Some users still ask me ​can you dehydrate honey to make honey powder? My answer for them is, Yes. ​We can. That's what we are going to show you in this article. Do you find it little difficult to dehydrate honey? It is quite easy to dry honey, but some of you might find it little difficult. Thus, for your assistance, we are discussing the way through which you can quickly dehydrate honey. We will also share some valuable info with regarding the dehydrated honey so that you can include this healthy food in your diet more frequently. UPDATE: Some of you might be failing while using the below method of dehydrating honey with a food dehydrator. 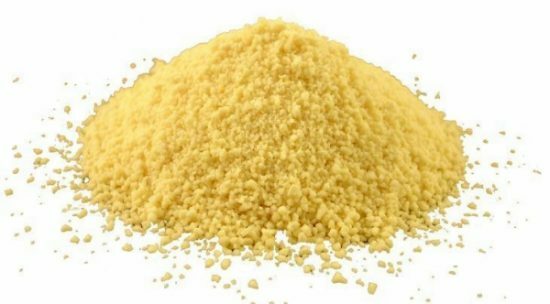 So, in such case, you can check out another article “how to make honey powder without dehydrator” in which we will explain you about preparing the honey powder without using food dehydrator efficiently at home. It includes one of the easiest ways of making honey powder or dried honey. What is Dehydrated Honey or Dried Honey? The dehydrated honey is also known as powdered honey. Some of you might know it by the name honey powder, honey crystals or dried honey. All the names have the same meaning, but they differ in their quality. The reason behind the difference in the quality is a way of processing the honey. If you grind it in the thicker form then, it is known as honey crystals. But if you grind it minutely just like sand then, it is called the honey powder. Few manufacturers also add some ingredients in the dried honey that changes the entire look and texture of the final product. The method of drying honey is not so complicated about the other foods. It involves straightforward steps. Let's check them out! 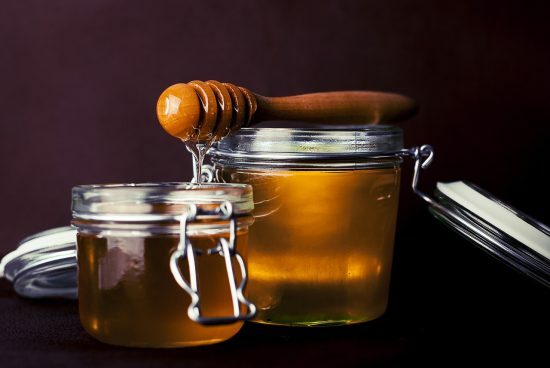 The first step in the process of dehydrating honey is to spread it on the surface in a fragile layer so that entire moisture of the food can get escape. You may use a puree sheet or a baking sheet of the food dehydrator for spreading the honey. Some of the food dehydrators might not come with a puree sheet, thus, in that case, you can use the regular baking tray along with the parchment paper that can grasp the honey well. Now, slowly spread the 1/8-inch thick uniform layer of the honey over the baking tray. Important Tip: If you want to add more flavor to the dried honey then, you may sprinkle some ground ginger or ground cinnamon over it. You must remember while cooking the honey that if you dry it out on a very high temperature then, the honey can get burn. It is advantageous that you use a food dehydrator with the preset setting of the temperature. So, if you have a food dehydrator, place the tray of the honey inside it and set the temperature at the 120 degrees F. Now, you can leave the honey for few hours to few days till honey gets dry. But do not forget to check its consistency in between the drying process until it becomes dry to touch. 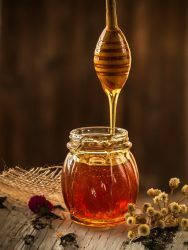 Important Tip: After the drying process, if you find that the honey is quite sticky to touch then, you must continue it drying for more time. As soon as the honey gets dried, remove it from the dehydrator for grinding purposes. You should not wait too much after removing the honey from the trays as this can lead to the exit of the heat from the food. It can also result in the sticky honey because of the more absorption of the moisture from the outside environment. For removing the honey from the trays, you can use a spatula. After taking it out, break them in the small pieces. Now, grind these pieces in a food processor until it turns into powder. Important tip: It is entirely your choice that in which way you want to consume the dried honey, i.e., in small crystal form or powder form. Now, you can store the dried honey in a sealed container so that it does not come in contact with the moisture of the environment. It mainly helps in increasing the shelf life of the food if you store it properly. You must shift the dried honey as soon as possible in the container. You can use this dried honey over the cakes, cookies, etc. to increase the sweetness of the dessert. Important Tip: You should not open the airtight container of the dried honey until it is necessary. It will provide a longer shelf life to the food. From various studies and researches, it's confirmed that the honey is a good substitute for sugar. There are lots of minerals and vitamins which we get from the dried honey. Honey has a very low GI level (glycemic index) in comparison to the white sugar. The powdered honey or the dehydrated honey has a longer life than the raw honey. If you store it properly in the airtight jar then, it can last for several months. It is quite a healthy option which we can use at the time of baking any dessert. The dehydrated honey allows you to make some lip-smacking and delicious recipes. It works similar to the white sugar in the desserts. It makes the food like cookies quite fluffy and soft. You can use it for frosting also owing to its light consistency. Few different types of sweeteners make the desserts dry after two days, but this does not happen when you use the dehydrated honey in them. The dehydrated honey comes at very reasonable price on the market. So, you can buy the non-organic dried honey for making any dessert at very less cost. It is cheap than the expense of the white sugar at least. It is not possible every time that the honey which you find on the market is pure and does not comprise of any artificial ingredients or sweeteners. 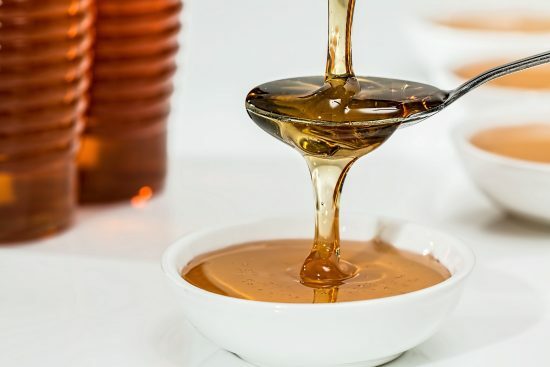 Sometimes the manufacturing company adds sweeteners such as sucrose in the honey so that it does not turn into liquid soon. Thus, you should buy the honey from the trustworthy brand only so that you can get fully healthy benefits of the product. If you do not have much knowledge about using the food dehydrator then, you might face the issue of under or over drying the honey. Honey is a very sticky food, so if you dry it for long, then it can get stick to the dehydrator tray. The under drying of the honey can result in the sticky texture in the end. Thus, it is always beneficial that you get familiar with the proper drying time and temperature before dehydrating honey on the food dryer. We hope that now you know that how to dehydrate honey. Nowadays people are becoming more health conscious and usually look for the healthy options that can substitute the unhealthy options. Thus, dehydrated honey is one the best alternative to the white sugar, and it is quite easy to make it with the help of the food dehydrator at home. You can use the dried honey in numerous desserts by marinating your calorie intake to the low level. So, what are you thinking now? Go and start making the dehydrated honey in your food dehydrator. Do not forget to share your pleasant experiences with us later. It will also help us in making our article more informative to all other precious readers. However, if you have any query, then you can write to us in the below comment box. We will try to solve your question as soon as we can. We have our own bees, using my Excalibur, I spread honey on parchment and the puree sheets. Even after 50 hours, yes, 50, it still is not dehydrated. I have dehydrated just about everything, from fruit (and fruit purees) to vegetables. I do not know why it is not drying. I agree. Over 50 hours at 125 and still not dry. Not even 1/8 inch thick. Have you tried dehydrating honey at a higher temperature? if so do let us know your result. I’m sure it helps other users as well. I am having the same issue. This is my second time trying this (with a different dehydrator this time) and it has been going for 4 days. I even turned the temperature up on the last day and it was still tacky. Not dry at all. Is there a specific type of honey that should be used? Hello! Can u pls help me..
I’m not quite sure about that. I guess you only need commercial dehydrators if you are buying it for business use. Linda, you should either delete this blog or correct it. Have you actually, successfully dehydrated honey? I have had similar problems with the honey not drying in more than 50 hours, even with very high temps. In my search for manufactured honey powder or crystals, I have found there are no options for pure dehydrated honey. Soul Bee seems to offer the most detailed info on their products https://soulbeehoney.com/. Although be careful if you’re gluten free or celiac as some products labeled as GF contain wheat. Several products are listed as “100% natural honey crystals”, but all have sucrose, cane syrup or other sugars as the first ingredient. One even replied in comments that is was only 15%-20% honey. The first sugar ingredient is “natural”, so I suspect they get away with deviously implying it’s 100% honey. Clearly if the commercial companies cannot dry 100% honey, we are not likely to do it in our home dehydrators. We are going to attempt to mix honey with some dehydrated soy milk for use in our coffee since it appears that a small amount of dry material (Soul Bee) may facilitate some drying. Sure. I will look into this.